When I was younger I used to see spirituality and work performance as different ends on a very long pole. I could not see any correlation between the two. I have heard others argue that the spiritual masters are often not successful in the material world (unless they are fake!). They imply that these masters are not successful because they are spiritual. That is a wrong understanding. We see what we want to see and often perceive the world in a way that correspondence with our beliefs and conditioning. These masters are not after worldly success. They have found the ultimate happiness that nothing in this material world can compare to. Now I can clearly see that our spiritual practices can be very helpful for our work performance; and I have scientific evidence to prove it. Nowadays, we tend to put too much emphasis on IQ and school performance. No doubt, people with high IQ do better in school and school-like settings but beyond that, it is of little relevance. David Brooks wrote in his international bestselling book, ‘The Social Animal’, “Once you get beyond the school environment, it is not a reliable predictor of performance. Controlling for other factors, people with high IQ do not have better relationships and better marriages. They are not better at raising their children”. Richard K. Wagner of the Florida State University said that IQ predicts only 4 percent of variance in job performance. In his book ‘What Intelligence Test Miss’, Keith E. Stanovich highlighted that the real contributors to performance are, among others, “the tendency to collect information before making up one’s mind, the tendency to seek various points of view before coming to a conclusion, the disposition to think extensively about a problem before responding, the tendency to calibrate the degree of strength of one’s opinion to the degree of evidence available, the tendency to think about future consequences before taking action, the tendency to explicitly weigh plusses and minuses of a situation before making a decision, and the tendency to seek nuance and avoid absolutism”. In short, our habitual tendencies are more important to our work performance that our intelligence. “A decade or so later, Kagan ran the same children through a battery of experiences that were designed to induce performance anxiety. Very few kids jumped from high reactive to low reactive and vice versa”. David Brooks also wrote about another famous research done by Walter Mischel that showed that one’s habitual tendencies as a child are reflective of how successful one can become as an adult. He brought a series of four year-olds into a room. He placed a marshmallow on a table and told each child that she could eat the marshmallow now but if she is willing to wait until he comes back again, he will give her two marshmallows. Walter then walks out of the room and there is a hidden camera to record the child’s reaction. The results showed that the kids who could wait a several minutes subsequently did much better in schools and had fewer behavioural problems than the kids who could only wait for a short while. They had better social skills in middle school. The kids who could wait a full fifteen minutes had, thirteen years later, SAT scores that were 210 points higher than the kids who could wait only thirty seconds! Twenty years later, they had much higher college-completion rates, and thirty years later, they had much higher incomes. The kids who could not wait at all had much higher incarceration rates. They were much more likely to suffer drug and alcohol-addiction problems. So, what can we do if we have some negative habitual tendencies that can hamper our work performance? I used to read many motivational books. I did feel motivated but I also noticed that I became more irritable whenever I stumbled on obstacles that prevented me from achieving my goals. I failed to see that those obstacles were merely the shadow of the Divine’s loving hand guiding me towards my destiny. I read many such books and bought audio tapes on motivation to listen to over and over again while I drove to work. They gave me a little emotional uplift but it was never lasting. Any small problem could easily wipe off the positive filling I gained. They did not create the change in me that I wanted. I was still dissatisfied but I just did not know what the problem was. This dissatisfaction led me to turn to spirituality and I never looked back. My spiritual practices help me to look within myself and look at my habitual thinking patterns and tendencies with equanimity. The Buddha taught the four right efforts; we should reduce the negative conditioning that we have, prevent those negative conditioning that we do not have from arising, strengthen our positive habits/tendencies that we already have, and developed those positive habits/tendencies that we do not have. My spiritual practice is the tool that enables me to understand myself; to see my strengths and weaknesses. It enables me to at least see that I have problems and gives me the strength to change. When I compare myself to how I was five years ago, I can see that I have changed significantly. Even if I look back just one year, I can see significant changes. Many things that bothered me a year ago, no longer bother me now. Rudra Shivananda shared with me that he took a personality test when he just joined one of the organisations he worked in. The results showed that he was an introvert….not that it is a bad thing! A few years later, when he acted as the trainer, he took the test again. When the consultant looked at the results and compared them to the results he took previously, he was puzzled. The results no longer showed that Rudra was an introvert. He said that such significant changes could never happen. Rudra explained to me that his Kriya Yoga practices contributed to the change. What if one just started out with one’s spiritual practice and one’s meditation has not deepened significantly enough to bring about changes to oneself? No problem. Our ego is made up of our memories and our experiences. If we want to make changes to our ego, we can do it indirectly by changing our experiences or environment. 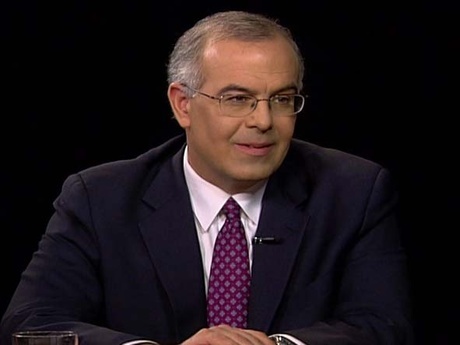 David Brooks wrote in The Social Animal, “Researchers have done a lot of work over the past few years analysing social networks. It turns out almost everything is contagious. If your friends are obese, you are more likely to be obese. If your friends are happy, you are more likely to be happy. If your friends smoke, you smoke. If they feel lonely, you feel lonely. In fact, Nicholas Christakis and James H. Fowler have found that a person’s friends have more influence on whether he or she will be obese than a person’s spouse”. So, if we want to make changes in our life, we can look for friends who already have the attributes we desire to have. However, we need to be careful. Our conditioning acts as a strong filter which distorts what we see. Instead of seeing reality, our conditioning presents a very different picture to us. Ajahn Brahm in his book ‘Simply this Moment’ shared a story that illustrates this. He said, “Another example is from a disciple of mine. Many years ago she had a very big problem because her husband was sexually abusing her children. He went to jail. She couldn’t see what was happening for many months. She was a very loving mother and a very loving wife. As sometimes happens in those terrible situations, it came out at school. The teachers saw the signs and when they investigated they found that they had assessed the situation correctly, the children where being abused. The mother felt very guilty, but why was it that she couldn’t see those signs? As a Buddhist monk – who knows about the mind, knows about conditioning, knows about the psychology of all this – I had to explain to her the reason she could not see what others could see. The situation was so horrendous that subconsciously she didn’t want to see it. If you don’t want to see something you just cannot see it. It’s not a matter of suppression, which is done openly. It’s blocked out at a subconscious level. It happens before this process comes to the mind’s consciousness. It’s already been filtered out”. “There was a very interesting experiment done a few years ago at Harvard University. In front of some volunteer students, psychologists flashed images on a screen and asked the students to write down what they thought the image represented. The image was flashed so quickly that at first they could not really make out what the image was. Gradually the length of the exposure was increased until they could record some idea of what it was. Then the time on the screen was further increased so that the students could record whether it was what they had expected it to be, until the time the exposure was long enough for them to clearly tell what it was”. “The findings are illustrated with one example. The actual photograph was of a very well known part of the campus, a set of steps going up to one of the faculty buildings. There was a bicycle by the side of the steps. One student saw it as a ship at sea, but because the image was flashed so quickly it wasn’t much more than a guess. However, once that idea was in his mind, when the length of exposure on the screen was increased incrementally, he still saw it as a ship at sea, again and again. He saw it as a ship when every one else could see it as a well know part of the campus. He insisted it was a ship at sea until the exposure was so long that he eventually saw his mistake and corrected it. The lesson from that was that once you form a view it interferes so greatly with your perception that even though the image is right in front of you, you cannot see it. You see it in a different way than it truly is”. “One of the images took the students a particularly long time to figure out; it was a picture of two dogs copulating. It was such an obscene or unpleasant thing to see that the students were in complete denial, again and again and again, until it was so obvious that they had to see it for what it was. This is solid evidence for what the Buddha said about the perversions of our cognitive processes. Even though we think we know what our partner is saying to us, even though we think we know who they are, how often we are wrong. This is so not just in relationships with others, but also in our relationship with ourselves”.